Satco LED Linestra light bulbs with a 5 watt rating replace 35 watt linestra light bulbs or Philips Philinea. 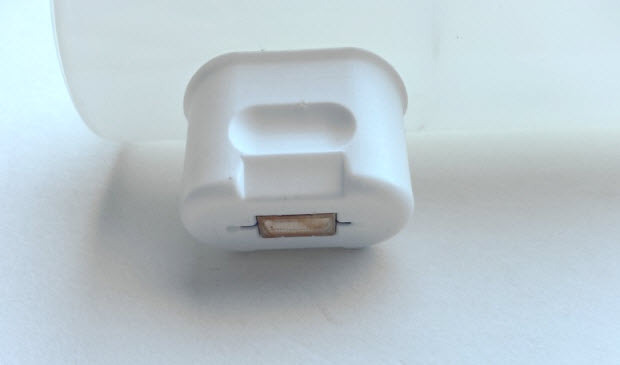 It comes with a double prong base for a standard connection and it's the medium size version. When installing this lamp, always apply equal pressure to each side of the lamp and prongs, as this will make an even positive electrical connection. Along with the quality of light, these are also rated at 30,000 hours meaning you'll save over $600 in lamp replacements costs not to mention a reduction in energy consumption. This is a dimmable LED light and gives the ultimate flexibility of bright light or a dimmed, more subtle light. - Length is 11.81" inches. This lamp is a linear form of light that most people like for bathroom or vanity lighting. It’s usually mounted on either side of a mirror giving an excellent source of sidelight which eliminates shadows. It’s a beautiful even light that you’re going to get for a space that often had lights overhead which would create shadows while maintaining a consistent lumen output. With this type of lighting you don’t have that, just a clean linear source of light that is very pleasing to the eye and very good with skin tones. 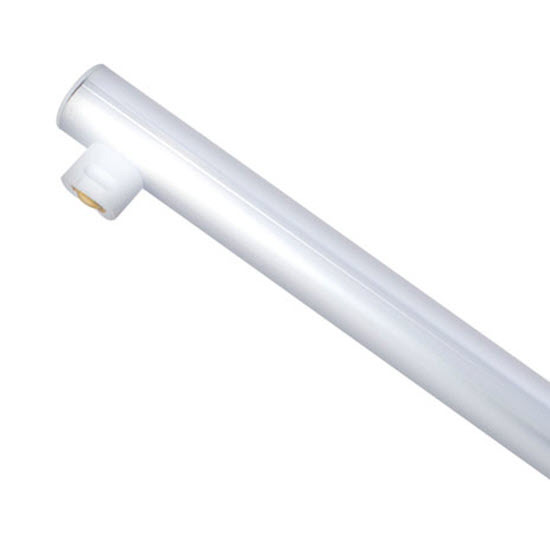 The linear incandescent versions are no longer made as stated before, but the LED linestra will do an excellent job of giving the same color of light while still improving the actual light levels. The new LEDs are generally brighter, but if you didn’t tell anybody that these were LED, they would never know. Bathroom lighting has changed a lot, and people are moving away from overhead lighting because it doesn’t do an excellent job as a mirror or vanity. And people don’t want to change to a fluorescent light which often gives off a stark appearance. So this is a natural choice for mirror lighting in a home or an upscale public bathroom and locker rooms. We have linestra light fixtures too. Not only do we have these linestra light bulbs but we also have the light fixtures that these are used in. They come in a variety of finishes, and they are easy to mount and install in an existing bathroom, or they could be used in the new construction application. These are architectural grade light fixtures, not some cheap strip light fixtures that you might find in a big box store. They are made for excellent performance and a great look that is very aesthetically pleasing for the lot of bathrooms, soffit lighting or certain kinds of general lighting. There’s never been a better time to take a look at this energy-saving light to replace those old incandescent lamps that you have. They’re very reasonably priced as well while still offering a much higher life anywhere from 25,000 to 50,000 hour rated life. - A flattering light for flesh tones. - Dimmable like any incandescent light bulb. - 150 watt = 39 3/8 inches replaced with 16 watt LED. - 60 watt = 19 2/3 inches replaced with 8 watt LED. - 35 watt = 11 3/4 inches replaced with 5 watt LED. If you have any questions as to which one you have, we can help you with that. Please call, email or text us the information that you have or you could send a picture, and we can identify your bulb from that. These can be a little difficult to identify for people that don’t replace them often or are unsure of what they can use in the LED. We have a lot of experience with this type of linestra lamp and light fixtures, and we can help you not only save energy but get the best possible lighting for your situation.